Ontario’s auditor general says Google’s Sidewalk Labs was given preferential treatment and warns development agency Waterfront Toronto to take a step back on its partnership with the company. The Globe and Mail reported on December 5th, 2018 that Auditor General Bonnie Lysyk tabled her 2018 report and for the first time publicly said there were concerns in her office and among government officials with the insufficient timelines that were given to sign off on the project. The Alphabet-owned Google affiliate began working with Waterfront Toronto after it was solidified in October 2017. The Waterfront Toronto board of directors later approved a Plan Development Agreement (PDA) with Sidewalk Labs in July 2018. 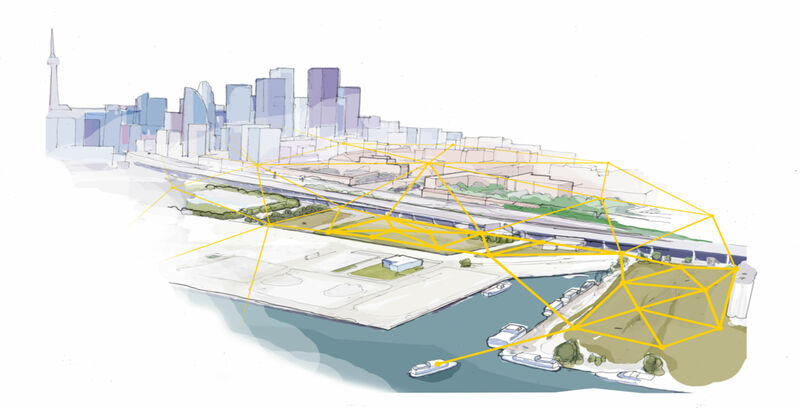 As a result of the 58-page PDA, Sidewalk Labs said that it would invest approximately $40 million USD (roughly $52.87 million CAD) to develop the Master Innovation and Development Plan (MIDP). Of that total figure, Sidewalk Labs set aside $2.6 million USD (approximately $3.52 million CAD) to examine legal, regulatory and policy issues, including data privacy and digital governance. The Globe and Mail reported that Lysyk asked Ontario and other levels of government to look into this project and get more information on Sidewalk’s plans and whether the plan should include some level of provincial oversight. Her recommendation was for the province to begin consultations and set up an advisory council that would look into policies on the project. “It is important to protect the public interest and ensure responsible and transparent integration of new digital technology within urban design when creating a mixed-used smart city,” Lysyk said in the report. Her report included details that echoed many technology executives and data and privacy experts who have voiced concerns about the privacy of citizens and how Sidewalk Labs plans to collect data — a topic that the company has stayed mum since it came into the limelight. On November 29th, 2018, Sidewalk Labs did not reveal to reporters anything more about how it plans to collect user data but said it would collect data from sensors while residents are in the community, and that could come from traffic signals or garbage bins. “We have consulted with over 14,000 Torontonians over the last year, and a plan is coming into focus that would create more than 9,000 jobs from construction alone—and many more than that from the economic activity the project will generate—along with large amounts of affordable housing and innovation that will meaningfully improve quality of life for Torontonians,” said the spokesperson. Update 5/12/2018 4:07 PM The article was updated with a statement from Sidewalk Labs.